Home TravelStoriesSrinagar – a dream place except for…. 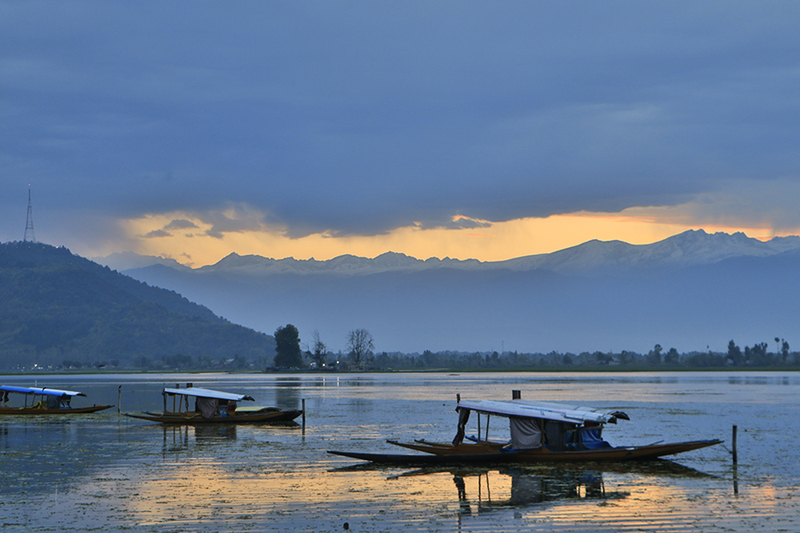 “Srinagar” if your head is playing some pleasant music with some picturesque scenery, calm city and adorable Dal lake. Let me tell you, your head is just messing with you. 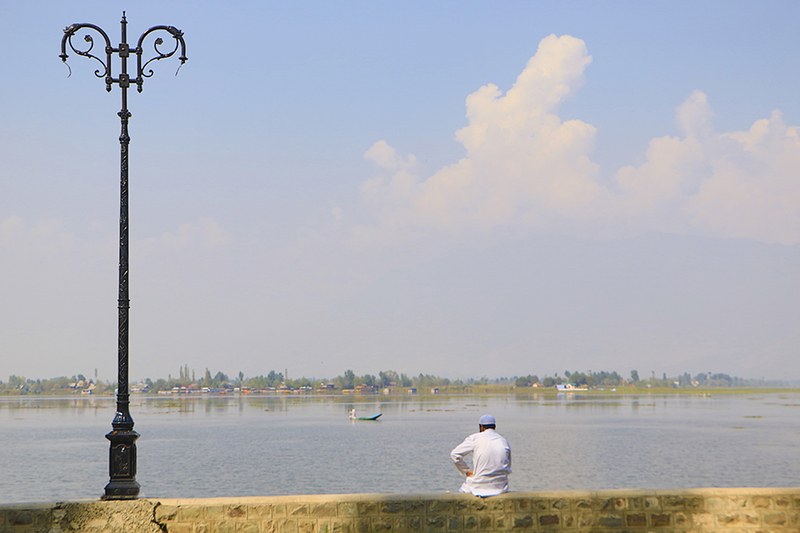 I have visited Srinagar past September and it is nothing like what I expected. I know expectation hurts a lot. I have planned my visit to Srinagar on September intentionally to avoid the on season rush. But the place it is very much a bustling city with the crowd and traffic choking us right from the first day we set foot on that place. Honestly there is nothing peaceful about the city. Being from Chennai which is typically a bustling city, going for a trip to get out of this hustle and bustle and this comes as a biggest disappointment. There were moments where I wished I shouldn’t have visited this place at all. But despite the disappointments I planned to explore the important places for which Srinagar is quite famous far. Well to set sight on this majestic lake was a dream after seeing all the pictures across the Internet. 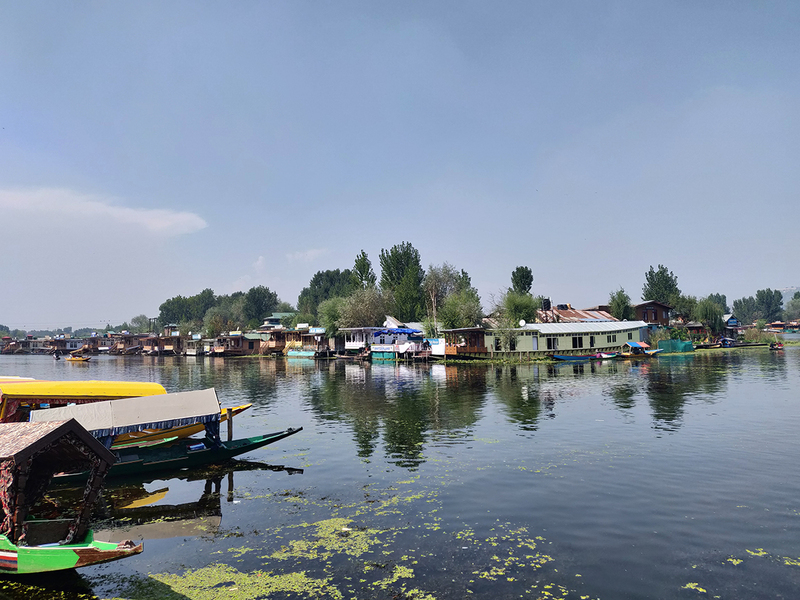 I started from my room and got an auto to reach Dal lake, all along I was thinking nothing but how beautiful the lake will be and how to capture some beautiful photos of this beautiful lake. I set my foot down from Auto, the reality hits hard, pretty hard. There must be hundreds of boat houses and about thousands of “Shikaras” – a tiny boat where you will be taken for a ride on the lake. This was really shocking for someone who expected calm and peaceful lake. Expectation hurts…. again…. I decided to take a walk across the banks of the lake. Throughout the way we were constantly asked by the boatman who ride Shikara whether we need a ride on their boat. And this continued through out our walk and it’s not being asked anymore we started to feel that they were literally compelling us to take the boat ride. This really got me as well as those who accompanied me irritated and after a while we stopped answering them. I then realized that livelihood of many people in there mainly depends upon tourism and being an off season is not really helping them. 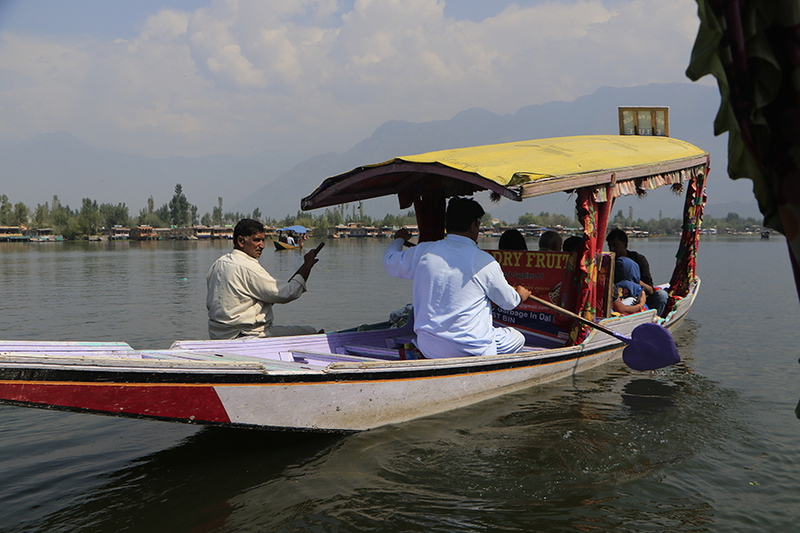 Dal lake is commercialized to a point where it stopped from being pleasant or beautiful. After constant nagging from the boatmen we finally decided to hop on to it and see what’s it like to ride on the boat and explore inside interior of the lake. We were promised many interesting spots in the lake for a sum of money. I hopped in partially excited to see the interior lake. We were taken to a small park called as Nehru park, a moderate sized park amidst of lake. Moving on we were taken to these so called spots which doesn’t fit their description at all. “Lotus lake” with no lotus , “floating market” with nothing as such and most funny of all is that the boatman took us to a big giant boat which barely moves claiming to be a place where water skiing takes place. It didn’t take much time to realize that we were fooled by the boatman after being promised to show interesting spots around the lake. Throughout the boat ride people from other boats tried to sell stuffs from right from Dry fruits to Pashmina. Commercialization has really deep rooted in this place. To be honest I didn’t expect the lotus to bloom when I show up nor expect the market to be open on my own time. But after being explained about the spots and when realizing the truth is just the opposite makes me feel that the boat ride nothing but a scam. After returning to the bank and after a heated argument for totally lying to us we ended up paying the money and left the place. I felt sad after experiencing the scam and to see the lake the way it is commercialized more than it should be. In disappointment and with no other choice we decided to just walk along the bank. Slowly the boats started to disappear and I could get glimpse of lake’s beauty here and there. Excitement started kicking in as I hoped to see the beauty of lake without those Shikkaras and house boats. After walking a Km or so we passed all the Ghats ( kinda like stations for house boats and Shikaras ) and I finally saw the beauty of lake without human intervention. That’s really a healing sight for my sore eyes. We decided to stay there for a while to admire its beauty and rest our legs after a long and tiring walk. Pro tip: There are around 25 ghats with Ghat 1 being the starting point where the tourists get down and near the city. 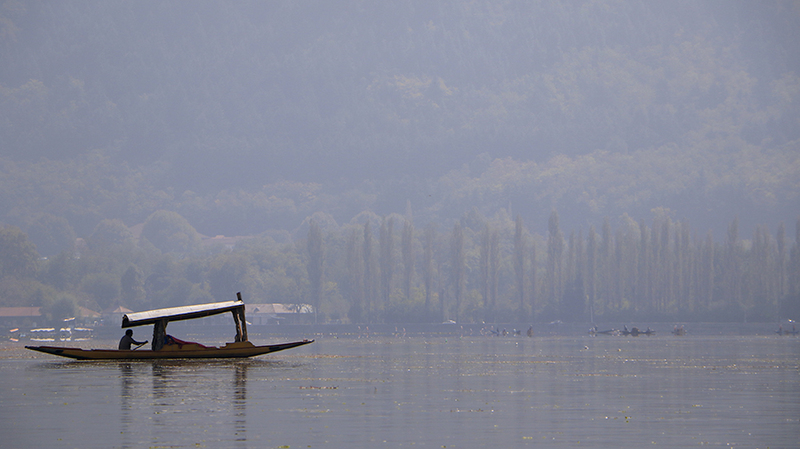 You can blindly skip Ghats 1 to 20, since the real beauty of Dal lake lies beyond that. Just take an auto or if you love walking then go to the farthest ghats and you will not regret. Trust me. Next stop is Nishad Bagh. 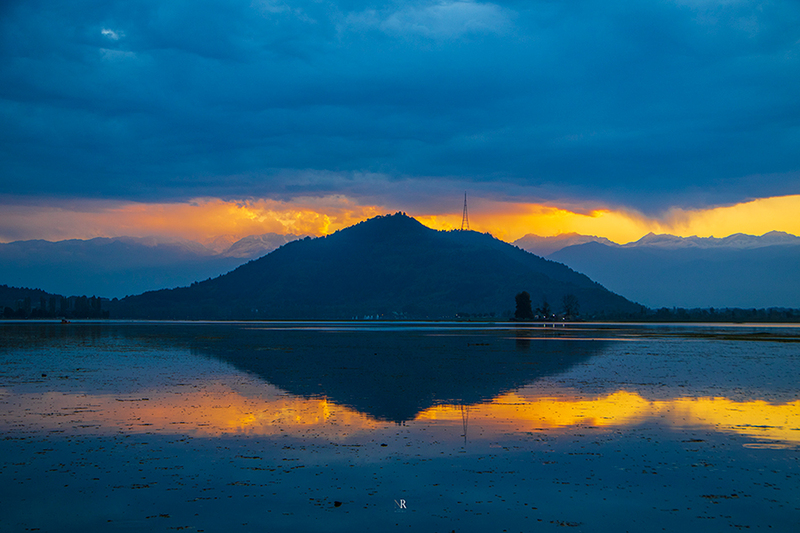 This is one among the few mandatory spots to cover in Srinagar. The place is very well maintained and you can really sit and have some peaceful family time. With different types of trees, plants and flowers it is a fine garden with lot of huge trees. It was almost 4:30 when we came out of Nishad and one of us had this crazy idea of walking back to our room which is about 10 km away from Nishad. So we took the plan and started walking along the walk path around Dal lake. 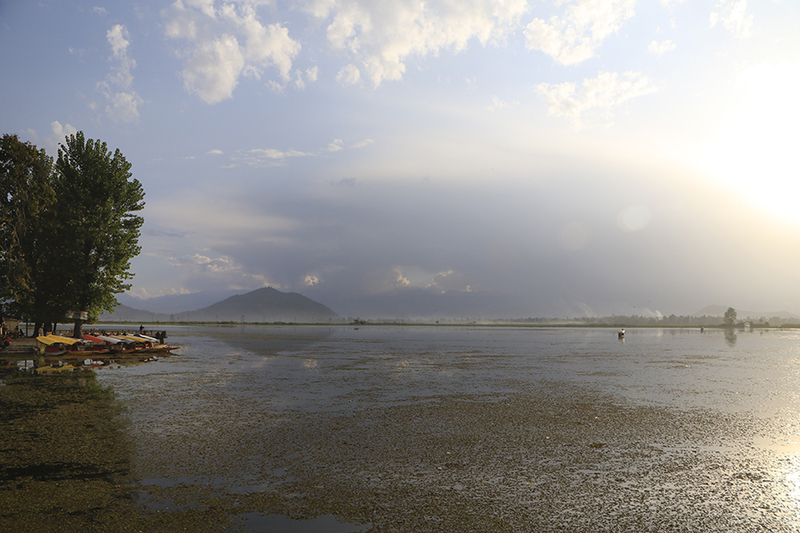 As sun started going down and we were back at the banks of Dal lake where it was secluded. And moments before sunset the whole lake was painted with orange hues which is indescribable. The reflection from the water gave some crazy colors to the place itself. I couldn’t stop myself from sitting at a bank and spending few minutes there. Nature is indeed the greatest artist that we will ever see. And I took my camera out and went berserk with it taking all possible shots that can justify the beauty of the place at that time. And we got to witness the first snowfall of the season on those mighty mountains. I had a little laugh thinking about the change of fortune we had in that place. Dusty, bustling, commercialized Srinagar in the morning turned into Mind-blowing piece of art. And it’s almost 6.00 when I finally rested my Camera. Realizing that it’s very dark we started our walk towards our room. Each of us shared some crazy and nutty stories that turned out to be helpful for our walk. The story got crazier by every turn and we started discussing scientific facts and theories. But crazy talks indeed helped with our long journey. Secluded Dal lake disappeared. Bright lights cleared out soothing darkness and pleasant sound of water ripples gradually overpowered by the noise of people who wanted to sell. I was in a state of mixed feeling. The day was filled with highs and lows with being witnessed different sides of the city. And it gets hard to describe my experience as neither good nor bad. Despite the bad experience in the morning, that magical evening in this city is something that I would never ever forget in my lifetime. But I will stand my point on how commercialization has ruined the beauty of this place and the need to be checked. 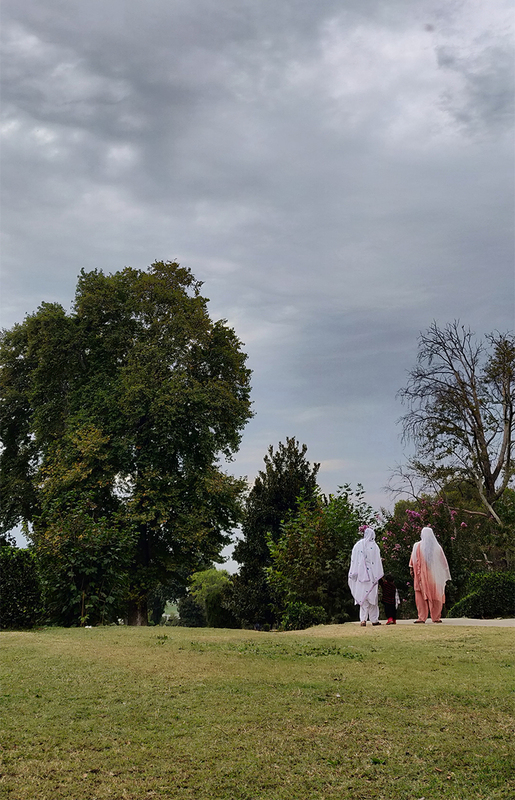 The intention of this travel story is never meant to discourage those who intend to visit Srinagar but rather to share what I have experienced in there. It is focused to describe how reality differs from expectations or from what we hear or see in the photos. Despite the uniqueness and beauty within, the need for government intervention to keep commercialization in check cannot be neglected. On the other hand the people who depends on tourism for their livelihood must be supported. I regret if my story hurts any of your sentiment.